Affordable advertising for the equine enthusiast. 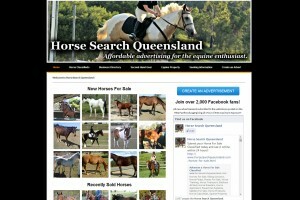 Horse Search Queensland offers advertising of Horses For Sale, Horses For Lease, Equine Products and Services, Second-Hand Gear and much more! Join over 2,000 fans on Facebook!